Saving for retirement is more complex than it was a century ago. Today, stockpiling for the Golden Years is more than just tucking a portion of your income into a traditional savings account – you might as well be stuffing it under the mattress (don’t forget to spray for silverfish). Nowadays, retirees, soon-to-be retirees, and early planners have access to a variety of savings and investment options – and, of course, the sheer volume of choices can be daunting. There’s no need to give yourself a headache, however. Only 1 in 3 workers thought they would rely on Social Security benefits to cover their living expenses. When it came time to retire, however, nearly twice as many relied on their monthly payouts to sustain their standard of living. In other words, many weren’t putting away as much money as they thought they would – or miscalculated how much they needed to save for retirement. It happens. Your benefits are based on your average income for your 35 highest earning years. If you worked less than 35 years, zeros will be totaled into the equation. When you choose to retire will also affect your monthly stipend. Early retirement can cut your monthly payouts, while delaying will increase them; though, in the long-run, total payout evens out up to the average life expectancy. If you have access to a 401(k) plan, invest. A 401(k) account is an employer-sponsored retirement savings program with more perks than that dusty old bank vault, including regular discretionary contributions, employer-based matching programs, immediate tax benefits, and investment options. Individuals under 50 years of age can contribute up to $18,000 per year to their 401(k), while those 50 and older can contribute up to $24,000 – the extra $6,000 is considered a catch-up contribution. Money from your account may also be used to invest in a variety of stock options to amplify your 401(k) savings. While 401(k) withdrawals are subject to income tax, you can begin withdrawing without penalty at the age of 59½ and must receive the required minimum distributions at age 70½. IRAs are much like 401(k)s, but differ in that 401(k)s are employer-based, whereas IRAs are not – anyone with taxable income or compensation can open this type of personal savings account. IRAs also tend to offer more investment options. 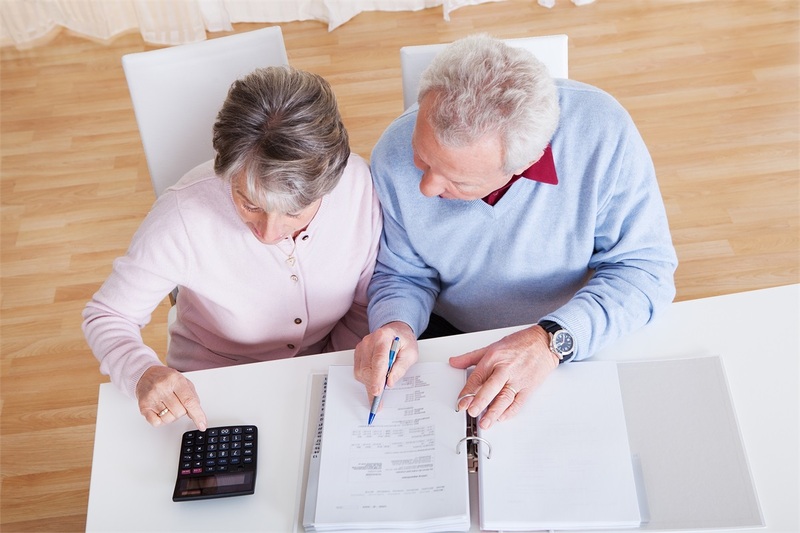 As with 401(k)s, withdrawals may begin at age 59½ and must be taken at 70½. There are two types of IRAs: traditional and Roth. You would make pre-tax contributions to a traditional IRA and taxed contributions to a Roth IRA, meaning later distributions would be tax-free. Those with Roth IRAs have more flexibility regarding mandatary distributions as they can leave their money untouched for as long as they like. Home equity is the net worth of your home, or the market value of the house minus what you still owe on the mortgage. It’s the value you can tap into through a home equity loan, line of credit, reverse mortgage, or sale of the property. To add income to their retirement savings without making monthly payments, retirees can take out a reverse mortgage, which is a type of loan that provides those 62 years and older with immediate access to cash. Repayment of the loan isn’t due until the recipient moves out. Of course, selling the home allows owners to turn equity into cash. This might be a great option for retirees looking to downsize. These are only four options of many you can implement to generate, if not maximize, your retirement savings. If you’d like to learn more about all your saving and investment options, please contact Ventura Retirement Income Specialists for your free consultation.